Notable developer Jay Freeman, of Cydia fame, recently tweeted a picture of Glass running modified software. The image was important for a number of reasons, but Freeman on Tuesday outlined the most worrying potential outcome of all: the possibility of surveillance malware, installed right there on your face. All kinds of privacy scenarios come to mind; Freeman's warning highlights the amount of work Google still has before Glass hits the larger consumer market next year. Right now, Freeman says the Explorer Edition of Glass doesn't contain any user authentication, meaning if the device is left unattended, any person with malicious intent can attach a USB cable and install surveillance software. Once installed, the malware could gain access to a user's images, video and audio, and upload that information to the Internet. The same concerns apply to smartphones, of course, but Glass is more alarming because the device always sees what a user sees; it promises to be something that's more personal and intimate. And, worse, since Glass sits on your face, it could potentially see what PIN you type in at the bank, your email password and more. "The only thing it doesn't know are your thoughts," Freeman remarks, detailing the possible fallout of a hacked Glass. Freeman's concerns currently rely on a hacker first gaining physical access to a user's Glass, limiting the possibility of such an attack. And, for that matter, it's highly unlikely Google would release such a product without requiring some form of authentication from owners before using Glass—perhaps a PIN code, or maybe even some sort of futuristic eyeball scan. But the fact that Google is handing out such futuristic technology that's seemingly so vulnerable is worrying. Once Glass does release to a larger market, and consumers start adopting the technology, there are already enough privacy concerns surrounding the wearable computer. 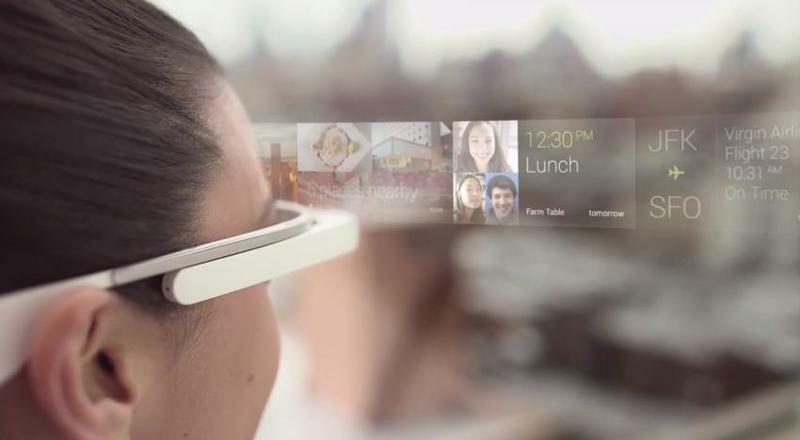 But the thought of hackers potentially gaining access to everything you see while wearing Glass is pretty horrifying.